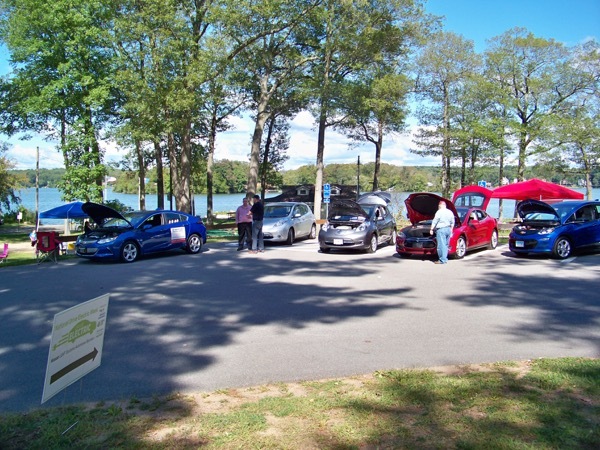 East Hampton's Energy Task Force (EHETF) independently planned an Electric Car Show for their town. Our local EAA chapter learned of this and invited them to register their event as an NDEW event for a larger awareness and attendance. The EHETF did a great job arranging music, kids activities, and grill food from a local restaurant. They invited selected vendors and local clubs to participate as well. Several local dealers were present with plug-ins, too. It was a beautiful day next to a beautiful lake and a beautiful EVent! Come join us at Sears Park in East Hampton, CT! Have an Electric Vehicle (or Plug-in)? 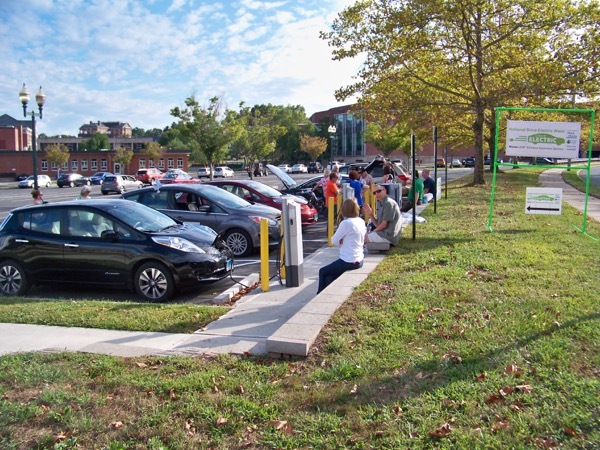 Bring your EV/Plug-In to the event to show it off and answer questions. A charging station will be available south of Route 66 to recharge before or after you're visit! Pre-registration of plug-ins required. Click the register button at the top of the page and you'll be entered to win a chance at a $250 gift card. Free Nissan Leaf giveaways like Leaf branded stickers, water bottles, sunglasses, smart phone fans, and more available while supplies last! Directions to Sears Park; On Route 66 East to East Hampton, turn left on Main Street and continue for approx 1.5 miles. The park is on your right, follow NDEW signs for parking. On Route 66 heading West toward East Hampton, turn right on Main Street and continue for approx 1.5 miles. The park is on your right, follow NDEW signs for parking. Registered attendees report 159,250 electric miles driven.